Update your home décor with a tropical vibe. 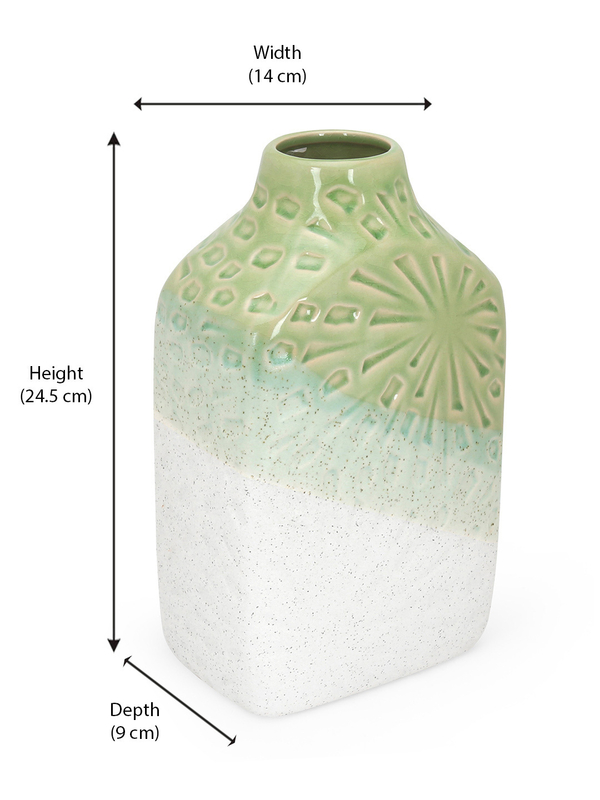 The Tropical Delight medium vase is infused with soothing shades of green to beige. The ceramic vase with a squarish shape has a small opening, perfect to slide in a bunch of long-stem flowers. Abstract patterns on top enhance its look along with the colour bands. Place it on the side table in the living room or give it the centre of the dining table, it instantly adds a decorative vibe to your space.